Zee Marathi celebrated actor Sachin Pilgaonkar's 50 years in the film industry with a grand function titled Suvarna Sachin (Golden Sachin) on September 5. His book Hach Mazha Marg (This is my path) was also launched at the function. 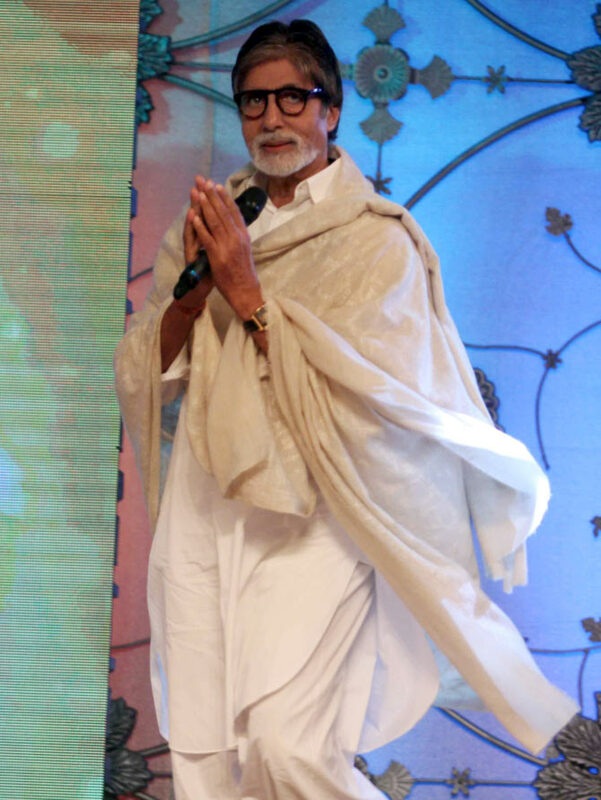 Many celebrated stars arrived to congratulate him, including Sachin's Sholay co-star Amitabh Bachchan. Click Next to see more pictures. 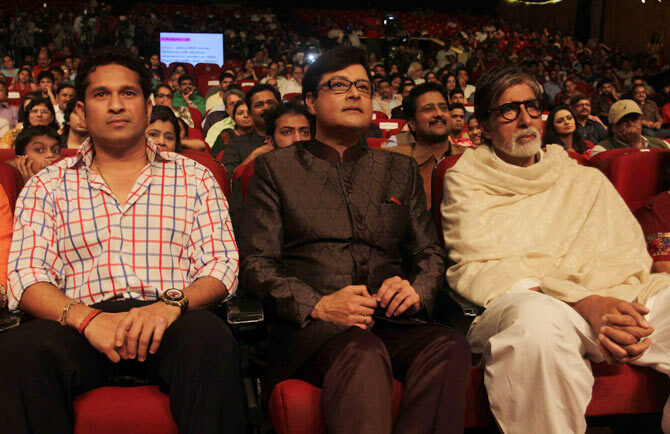 Cricket legend Sachin Tendulkar arrived for the show as well, and was seated next to Pilgaonkar and Bachchan. 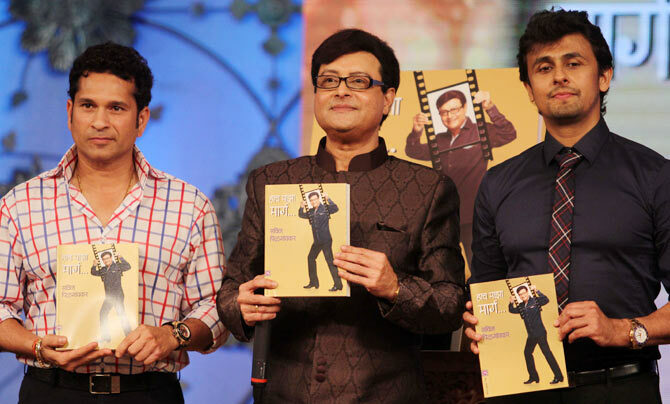 Tenldulkar, Pilgaonkar and Sonu Nigam launch the book, Hach Mazha Marg. 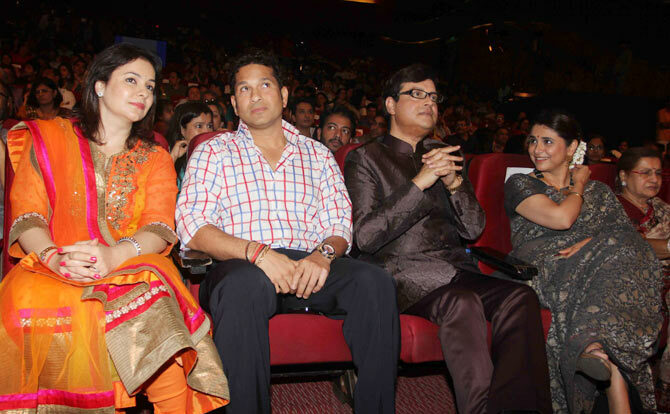 Tendulkar's wife Anjali and Pilgaonkar's wife Supriya joined their husbands at the launch. 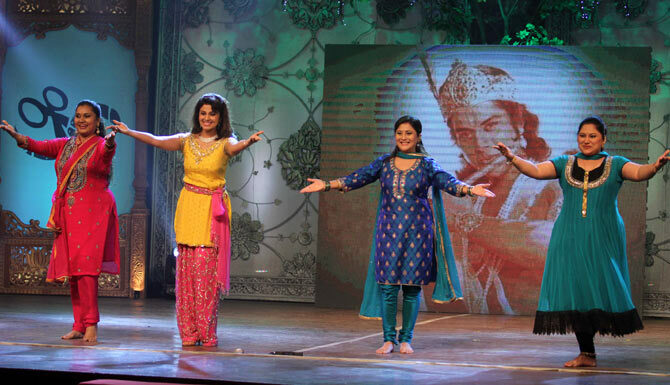 Sachin's actresses through the years -- Priya Berde (wife of the late actor Laxmikant Berde), Varsha Usgaonkar, Nivedita Joshi and Sukanya Kulkarni -- perform at the event. 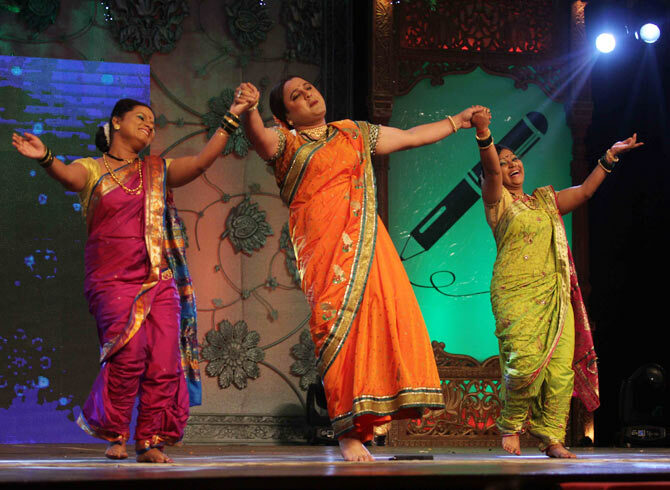 Ali Asgar performs at the function.